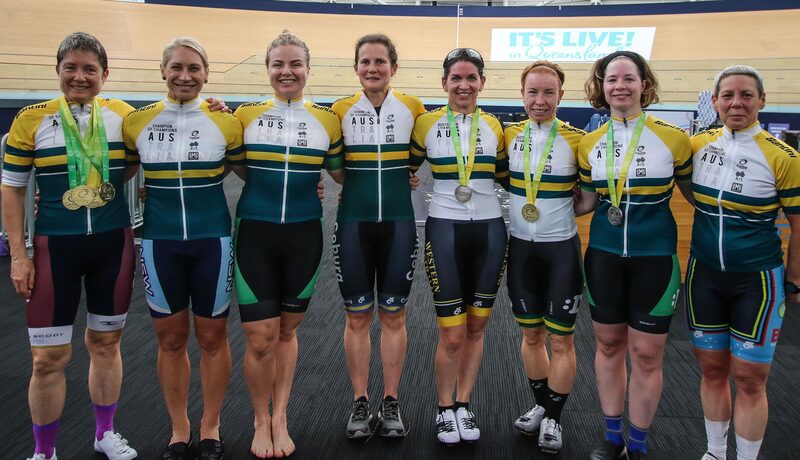 Five world’s best times, ten Australian records and two Championships records were set at the 2019 Cycling Australia Masters Track National Championships held at the Anna Meares Velodrome from April 7-10. The final day of racing saw 18 national champions crowned in the points race, and 18 new Champion of Champions awarded based on results from the four days of racing. Gary Mandy (NSW) stole the show in Brisbane, with a swag of four gold medals and three world’s best times earning him the Champion of Champions in the men’s 7 category. Mandy set the bar high on the opening day with a new world’s best time in the time trial, in addition to claiming the scratch race champion for masters men 7. Day two saw Mandy clock a second world’s best time in the individual pursuit qualifying before storming to gold. Mandy’s final day of racing ended on a high with yet another gold and world’s best time, this time in the sprint. Sally McKenna from New South Wales was adjudged the Champion of Champions in the women’s 6 category following her haul of three gold medals, one bronze medal, and one new world’s best time. On the opening day, McKenna clocked a Championship best time in the time trial en route to gold, before claiming silver in the scratch race, and team sprint bronze alongside Julie Barnett and Deborah Coulls. 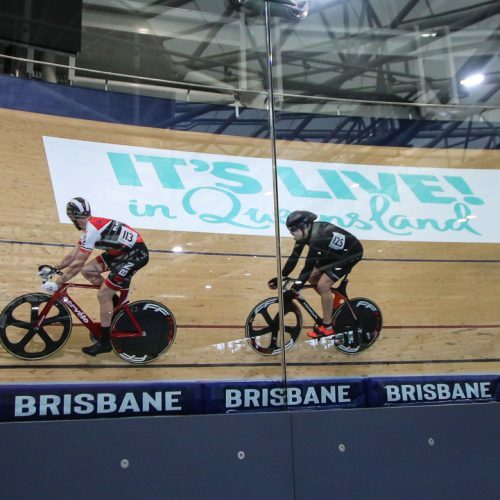 The second day of racing at the Anna Meares Velodrome saw McKenna back on the top step of the podium in the individual pursuit. McKenna then wrapped up her campaign with a world’s best time in flying 200m before soaring to the top step on the podium ahead of Queensland rival Julie Barnett.